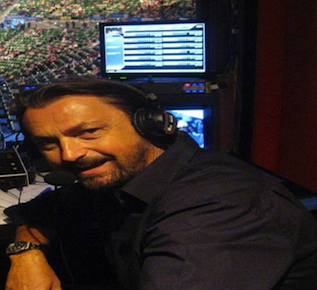 Australian Open, Henri’s summary: We need Nadal. Novak Djokovic has won the first Grand Slam this year in the final against Andy Murray. The Serb once again has proven his enormous power and control on the court. However, Novak's main competitor was missing: Rafael Nadal. With him also the thrill and excitement was missing. We need Rafa! Novak is really great. But Rafa has to come back. We need the torro in the arena who keeps on fighting and fighting ... At Roland Garros the biggest challenge for Novak will be Rafael Nadal. After the final Andy Murray was very disapointed. 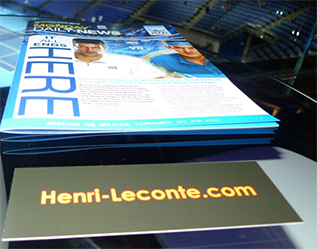 Together with Ivan Lendl they will go through everything analyzing the matches and his game. I’m sure he keeps on going his way. He will rest a bit in the next couple of weeks as the season start was very tough. Andy once again has proven that he is able to play very very well and he has the potential to reach the very top. It’s gonna be a very exciting season! Rafa! I really, really hope that he is coming back soon. We need him. Tennis needs him. He has the power, the energy and the strength. He never stops. Always keeps on going, always fighting! I really hope that he will be back soon. But he has to be fit for his game, i mean really fit from a physical point of view. Not to mention the psychological aspect. I think that the Australian Open will be a test for him. How it goes with his fitness and health. Djoko is back! Tennis needs Novak and Novak needs tennis! As simple as that. He is great. A powerful and highly skilled player. And a nice guy, too! He has everything. He gives a lot of energy to his country and the kids. I really appreciate that. Nole reminds me of Pat Cash, you know? Pat has a strong personality, always with his checkered headband ... and so has Novak Djokovic this strong personality. And he can be so funny! It’s really good to have him in tennis. And what about Roger Federer? I really don’t understand the criticism in some media. In my opinion, he is by far the best player in the world. Ever. In 2012 he – again – had an incredible year! Roger did so well this year, returning back to Number 1 in the world. Crazy! This was my promise at the Australian Open 2012 that Roger will come back to the No1 spot. And he did. I think he has to play less tournaments in 2013 to bring the same tennis on the courts. Guess that is the learning after the World Tour Finals and the 2012 season. But keep in mind the talent he has! Which brings us to Andy Murray. 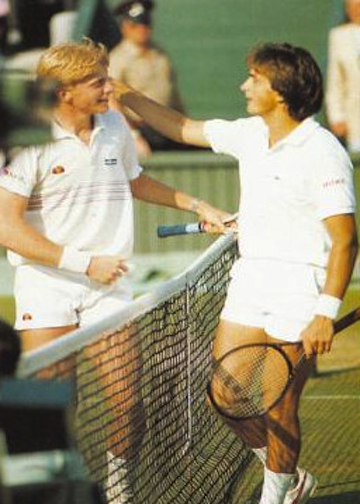 I think Ivan Lendl helped really a lot. Andy finally made the US Open! He had a very good year, maybe his real breakthrough year. He played well in the O2 but i think he never had the full support from the crowds there this year. Compare that to Wimbledon or the Olympics where the crowds were so fully behind him and almost freaking out! He had more pressure at the Masters than anywhere else before. People were waiting for him to win his first Grand Slam title. That was tough for him. Then he did. But now they expect more Grand Slam titles which is even harder! He has to play his game and turn off the media and crowd expectations, just focus on his game. Then he will win more Grand Slam titles, i’m pretty sure. So guys, looks like all is set for a very exciting season in 2013. I’m really looking forward to! Why not a team Tsonga-Rafter? 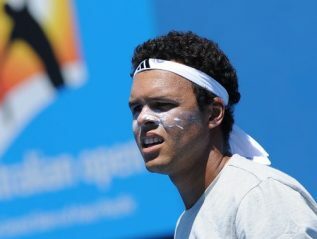 Many people have questions about the future of Jo-Wilfried Tsonga on the ATP Tour. Would he play better with a coach? Does he really need one? The answer can only be "yes". Obviously he needs a coach, whether he likes it or not. All observers are convinced that he needs one, even if he does not seem to care or he is not yet convinced. If he wants to to be ranked higher, he must hold on to someone with experience. Under this philosophy, who would have the best trainer profile for our French number one? Jo needs to improve his fundamentals. I mean, he now needs a solid foundation, because everything has to be focused on the 2013 season and the Australian Open, technically and mentally. He is not as strong and mature as Roger Federer to win big titles without help from someone. What he really needs now is time to work with a person to increase the focus on his game and to regain his concentration. Without this training he will not make it to take a new course. He needs to train with someone he respects, or he is allied and comfortable with. To change the tactics and technique of a player usually takes up a lot of his time. He has to find a person who shows him what he does best in order to be focused and be more aggressive, and after all more concentrated at the start of every match. We know that this is one of his weaknesses. It is the same all the time. He is a "puncher", a player with heart. He trains a lot, but still loses. I do not think that there is only one professional trainer that could suit him. I think for example, Pat Rafter. Why? Simply because Jo had already positive experience with this Australian guy. They could be a good team. He should try it. Mats Wilander is also an interesting choice. I read in L'Equipe that Jose Higueras offered help. Why not? The Spaniard is not playing the same game as Tsonga, but works very hard. Tony Roche would also be an option as a former "striker". But is Jo willing to listen to anybody? Only he can give us the answer. Jo is at the turning point of his career. He still has the chance to win a Grand Slam. Most likely at the Australian Open and Wimbledon. He must not waste more time and needs a good team, and not the people who work freelance for him from time to time. He has made significant progress, that is undisputed. The proof is that he has fewer injuries then before, and he does a better tournament selection. He can say that he alone managed all of that successfully one way or the other. But does he really want to lose in the semifinals of a Grand Slam or in the final at the Masters? If this is his ambition, okay, then we can not change anything. If he wants more than that, then he should seek a good collaboration that brings him to the top. I speak from experience: to be in the finals, that's one thing. But to win the finals is another. A word to the wise.